With just one exception, double digit payoffs were the order of the day in Santa Anita's popular 20 cent Single Ticket Pick Six Jackpot, with the result being there were two consolation tickets with six winners, each worth $56,382. With $211,098 in “new” money wagered, today's total Jackpot pool was $275,617, which has helped to create a Rainbow Pick Six carryover into Sunday of $112,846.50. Beginning with today's sixth race, $2 win payoffs in the Rainbow Six sequence were as follows: Race six, Hero for Hire, $26.00; race seven, True Valour, $25.00; race eight, Much Better, $2.80; race nine, Platinum Warrior, $34.40; race 10, Tanners Pride, $12.80 and race 11, Settle It, $18.40. First post time for Sunday's nine race card is at 12:30 p.m. Approximate post time for race four, the beginning of the Rainbow Six, is at 2:02 p.m. PT. 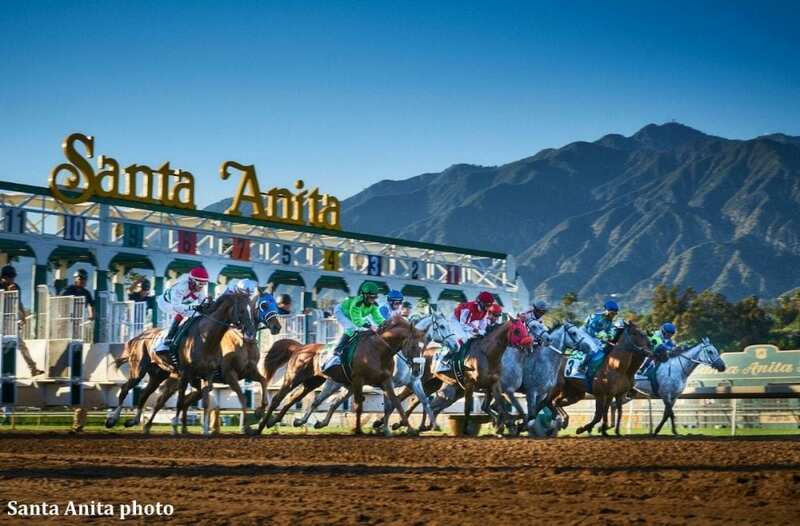 This entry was posted in Horseplayers and tagged Handicapping, horseplayers, pick six, pick six jackpot, santa anita, santa anita park, single ticket pick six jackpot, Wagering, winner by Mike Willman/Santa Anita. Bookmark the permalink.